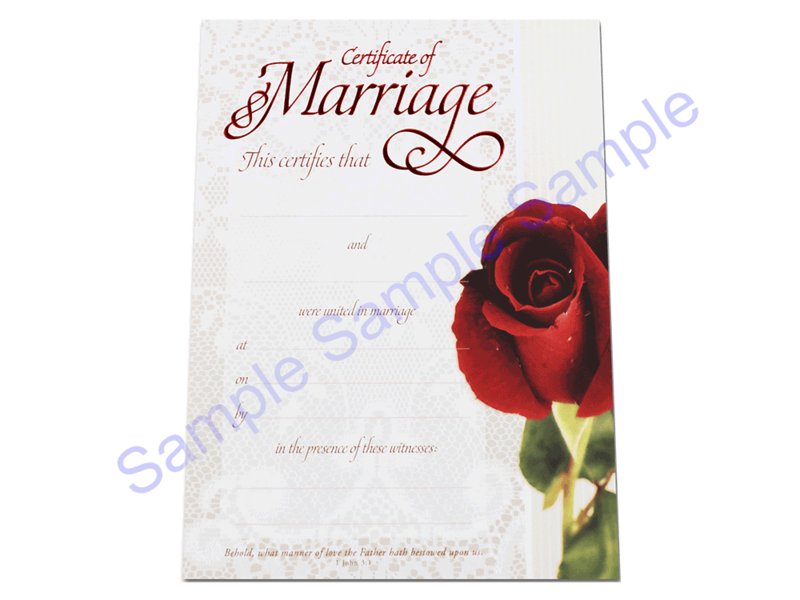 The Rose Lace marriage certificate is printed in full color on high quality paper so that it will last a lifetime after being given to the loving couple. Give the couple this tastefully designed marriage certificate to remember their day of love. Printed in full color with the red rose of love featured prominently, this certificate will be cherished for years to come after the ceremony.